Your home is your most valuable asset. Be sure to protect it by keeping your basement dry and secure. For homeowners who live in the Greater Cincinnati, Ohio area, the common-sense solution to keeping your basement watertight is to rely on the skilled professionals from Teasdale Fenton. Our service crews have been waterproofing basements in our local communities for almost two decades. We understand that each home and each basement is different. Your foundation may be fieldstone, poured concrete, concrete block, pier and beam or something else. Whatever the construction method, we can solve your water intrusion problems permanently and economically. The most common entry points for water in the basement are through cracks in the foundation, cracks where the floor meets the wall and cracks in the floor. Sump pump failure can also be a factor. Regardless of the cause, we have patented solutions and processes to address every type of water penetration and to permanently solve your basement water leaking issues. Turn the problem over to Teasdale Fenton and you'll have no more damages and no more worries. Our basement waterproofing technicians are experienced, courteous and highly trained professionals. We'll arrive with state-of-the-art solutions to provide a quality repair at a customer-friendly price! When you experience basement flooding, whether it's from sump pump failure, a broken pipe or a crack in the foundation, we can help. We offer commercial carpet cleaning, residential carpet cleaning, and concrete floor cleaning to help you rebound from your water damages. It is essential to keep your basement clean and dry to keep your home or business in top condition. To protect your basement from potential flooding issues, it is best to rely on the waterproofing services from the certified technicians. 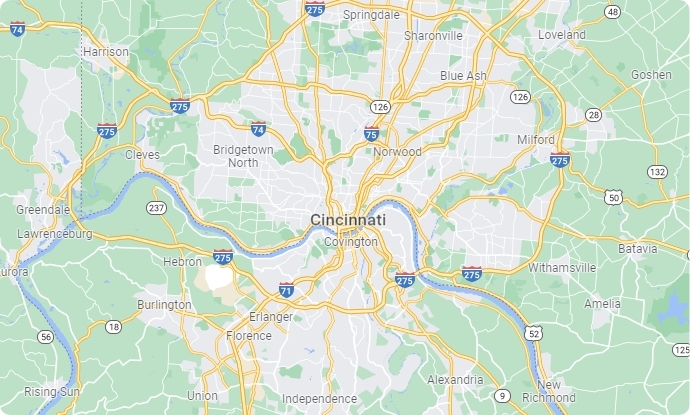 At Teasdale Fenton, we have a basement waterproofing division to cater to these services and we have served customers in the Greater Cincinnati area for almost two decades. Contact us online or give us a call at 513-729-9793 to learn more about our services with Basement Restoration Technologies.